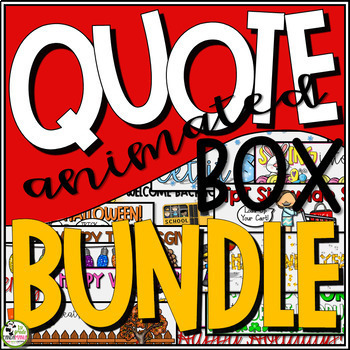 Animate your TpT banner with these fun GIFs and dress up your quote space. Make changes each and every season and/or holiday. Click on the video preview above to see some of them in action! **1 more to come! Price will increase as I add more, so purchase now at a reduced price.